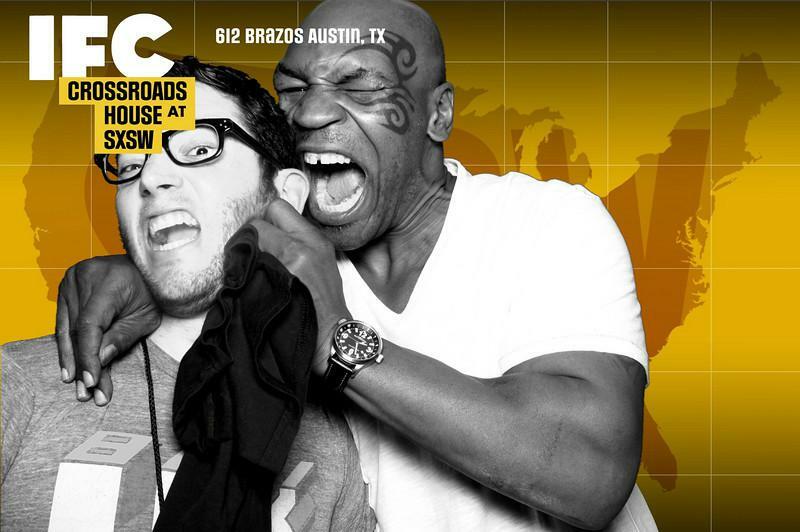 Mike Tyson may have given us the best image ever taken in a photo booth. Our Digital Photo Booth was in Austin Texas, for the South by Southwest and Michael Sheriff, our intrepid event tech (now LA studio manager), spotted Tyson at the event. According to studio folklore, the moment took very little persuasion to come together as magically as it did. Sheriff just asked him for a shot, and once in front of the booth, asked Mike Tyson to mime like he was biting his ear. This image has circulated around our studio for several years, and occasionally emailed to new employees after it comes up in conversation: “Have you seen Tyson and Sheriff? Oh let me show you!” It is a moment that sums up not only how good natured Tyson may be after all, but how good Michael Sheriff is at events, and by extension, how good our techs are in the moment. An event can be a blur: setting up the booth and ensuring the software is working seamlessly, a quick meal then dressing up, looking good, and being the life of the party, and often being the last to load out. It is a unique skill set that I have not written about much on this blog, but it is the front facing aspect of our business. We hire great people that have a rare combination of technical skill, photographic eye, and the social alacrity to manage busy events like it is all no big deal. In a way, this image encapsulates that unique skill set of our event techs. Contact us today for any event – a star studded red carpet event or a small intimate wedding. Our event techs have truly seen it all!